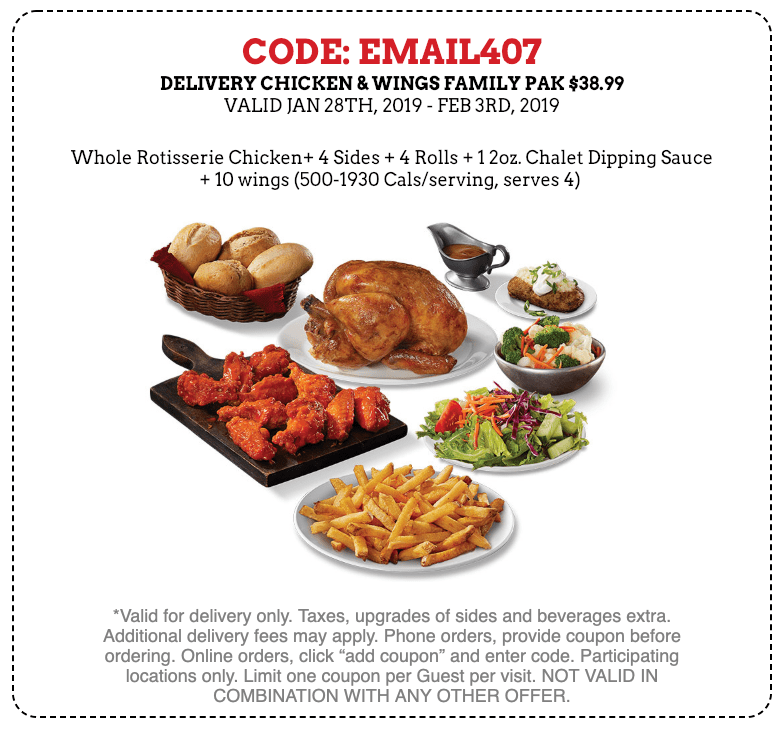 Swiss Chalet Canada has a new offer available now until, February 3, 2019, where you can Get Delivery Chicken & Wings Family Pak for $38.99. Enter the coupon code EMAIL407 at checkout to get your discount. This offer is valid until, February 3, 2019, available for delivery only.